Can Kane have back to back number one hits? 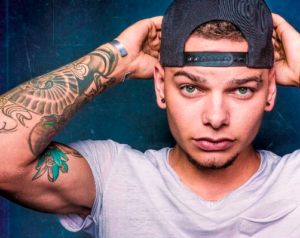 I’m a big fan of Kane Brown. He’s had a great rise to the top of the charts. Starting out just putting out his music through the modern channels like YouTube. Building an audience. Even topping the iTunes charts without big label support. But then he did sign with a major label looking for some radio success. That took a few years, but he’s coming off his first #1 hit. This is the followup. It sounds like another hit to me. Pretty much a straight ahead love song. A little bit of a twist. Some definite gratitude going on in this one. We have a guy that’s looking at all the great things going on in his life right now. Especially the girl he’s with. He sees that others around him are living their life like they’re waiting to go to heaven. To go to a place that is really good. But he’s thinking that he’s in heaven right now. He’s not really sure that things could get any better. Or even if they do he’s not sure that he needs them to be better. He’s happy with the way things are. He knows that it might not always be like this, but he’s enjoying the moment. Maybe that’s the right perspective to have on life… Enjoying the good things we have now. Maybe that’s the real heaven. Kane seems to be taking off to new heights in his career. And I think it’s a great thing for country music.